Square Display Stand, Decorative Rectangles Black, 12 in. 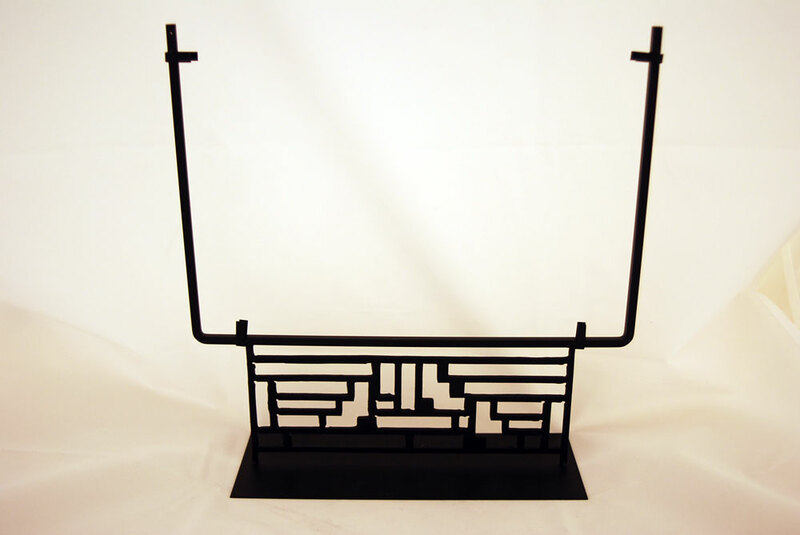 wide "
Square Display Stand with Decorative Rectangles in Black for 12 in. wide glass or other flat art. Suitable for glass 1/8 in. through 3/8 in. thick. Overall dimensions 14 in. tall x 12.75 in. wide with a 4 in. wide base. NOTE: Size of stands can vary up to 1/4 in. Always check the size of the stand prior to making the art to fit in the stand.